Everyone loves a bargain, and the LoveKnitting summer yarn sale has more than you could imagine. This month, you can enjoy deep discounts on yarns of every weight and shade – here are some of our favorites! It seems like everyone is knitting with ribbon yarn these days, and it’s not hard to see why! You can use larger needles to create an interesting textured piece of fabric, and this yarn is gorgeously soft. It would be perfect as a hypoallergenic baby yarn with its palette of summery pastel shades. It’s 40% off in the summer sale, so get it before it’s gone! At 40% off, this stunning Noro yarn is a steal. Noro yarns are renowned for their unique colorways, and this yarn doesn’t disappoint. We would love to knit up a sweater or a cardigan. This aran, worsted weight yarn knits up on 5mm (US 8) needles. The fiber blend of wool and silk creates an ultra-soft, ultra-warm fabric that you’ll definitely become obsessed with. If you’re looking for a worsted, aran weight yarn with a soft shine and an eye-popping range of shades, then Cascade Venezia Worsted is for you. This super soft yarn from Cascade yarns has a blend of merino wool and mulberry silk, which are top of the line fibers for yarn crafters. It is a delight to wear and knit with – and it’s 25% off in the summer sale. It knits up on 4.5mm (US 7) needles with a sublime stitch definition and an enviable drape. Schulana Sumerino is 30% off in the summer yarn sale, and it can’t be missed. This 100% wool yarn is machine washable, and the bright color palette makes it an obvious choice for baby and toddler garments. It’s an aran, worsted weight yarn that knits up on 4.5 (US 7) needles, and the high twist of the yarn creates a superb stitch definition. This DK weight yarn is a versatile, all-purpose yarn with a rainbow palette that will suit any project. This wool blend yarn knits up on 3.5mm (US 5) needles and can handle pretty much any project you need it for – and at 40% off in the summer yarn sale, how can you say no? It’s a must-have yarn for any knitters stash, because it resists pilling, doesn’t split, and can be used for anything from baby garments to toys and more. 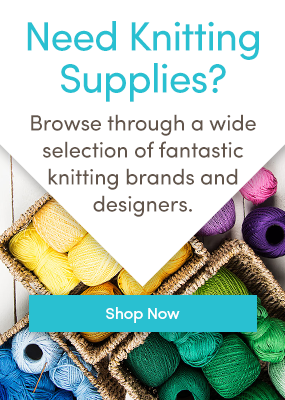 Click here to view all yarns in the LoveKnitting summer yarn sale and stock up your stash for less. Love knitting news? Follow LoveKnitting on Bloglovin’ so you never miss a post. Last updated: April 9th, 2018. I sometimes have trouble with purchases on their site and have found paying through Pay Pal at those times makes it all work wonderfully. You can also talk to someone on the phone at love knitting, they are wonderfully helpful! Have you been able to place an order since posting this? We apologise for the lengthy amount of time it’s taken to reply. I love these descriptions of your yarn. Especially helpful items are the suggested needle size, drape, stitch definition, and softness. Who would have thought that Noro Shinryoku would work for baby items, but I will soon try it! Thank you so much! I think the info on being good for hypoallergenic baby items was referring to the Lang Yarn Micro that is pictured and named just above that paragraph. The Noro paragraph doesn’t mention baby items at all, and I’m not sure they’d be a very good fit with that yarn?